For a detailed discussion of the love fest between Yelp and the McMillan Law Group, see the article at Bloomberg Law. 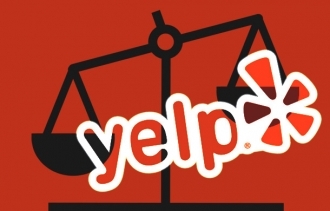 [UPDATE: May 6, 2015] Yelp apparently realized the folly of its actions, and today filed a Request for Dismissal, disposing of its action against McMillan Law Group. No doubt Yelp will claim that the case settled, and likely it did, but not in the manner that would imply. A plaintiff always has the power to dismiss their own case — there is nothing the defendant can do to stop a dismissal — but a dismissal entitles the defendant to court costs. Often plaintiff’s counsel will approach defense counsel and offer to dismiss the action in exchange for a waiver of costs. Since costs are usually pretty nominal in the grand scheme of things, it is rare that a defendant will refuse this offer. I’d be willing to bet any non crucial part of my anatomy that McMillan did not pay any money to Yelp as a part of any settlement. Yelp had no way to show any damages, so McMillan was not facing any risk of liability; only the costs of defense. Had it been me, and Yelp had offered a walkaway in exchange for a waiver of costs, I would have refused, knowing that Yelp would dismiss anyway, but I would have the satisfaction of a cost judgment against Yelp. I’m sure McMillan would have come to the same conclusion. Alternatively, if the parties become cagey about the terms of the “settlement,” with both sides refusing to give any details, then that will likely mean that money went from Yelp to McMillan. In other words, McMillan would not give up the ability to set the record straight just to avoid the comical trial and full access to Yelp’s internal records. There would have to be some strong motivation for McMillan to remain mum about any settlement. Alternatively to that alternative, if Yelp really did have some dirt on McMillan posting fake reviews, the consideration for silence about the settlement could have been that Yelp would keep that information to itself.